“As a military governor in Ireland, Sir Humphrey Gilbert gave no quarter, and accounts of the war there talk of supplicants being made to approach him through an avenue of severed heads” writes Jeremy Paxman in “Empire”. Gilbert was a half brother of Sir Walter Raleigh, himself no slouch when it came to cruelty. I’m told that on 10 May 1952 “The Daily Worker” carried a photo of a British soldier or Marine holding a severed human head, a trophy of Britain’s “Emergency” in Malaya, I hear that, in Belfast, the RUC raided Communist premises to confiscate the paper. I suppose that you, like myself, have never heard of the “Shifta War” which Britain waged against rebels in Somalia. But it gave rise to one giant leap for Idi Amin, the first black African to be awarded a Commission in The King’s African Rifles. 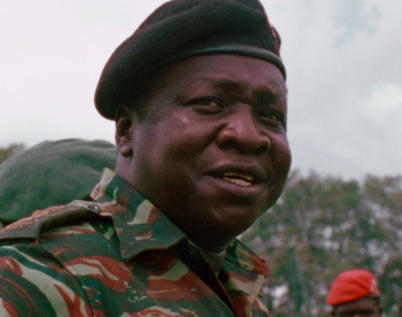 Idi Amin’s sterling qualities were further in evidence during the Kenya “Emergency” of 1952-1960, and when Uganda became independent in 1962 he transferred to its Army and was its commander in 1971 when he seized power from its President, Milton Obote, who had become persona non grata with Amin’s old mentors. Prime Minister Heath, and the British media regarded Amin as their champion. While Amin was unleashing a reign of terror in Uganda on a gigantic scale, his mentors were ratcheting up repression in Ireland, including murder, torture and other atrocities, but on a smaller scale. Amin was overthrown in 1979, and like Britain’s murderers from Malaya, Kenya, Cyprus, Ireland and other theatres of “Emergency,” never had to face trial for his crimes. He settled in Saudi Arabia, Britain’s favourite customer for lethal products, and a co-sponsor of sycophantic commentators.